CHICAGO — 2016 was one of the most violent years in history for residents of Chicago, as year-end figures show that there were 762 homicides and 3,550 shooting incidents—the highest murder level since 1996. The number of homicides more than doubled last year’s tally of 485, and is more than the number of murders in New York and Los Angeles combined. 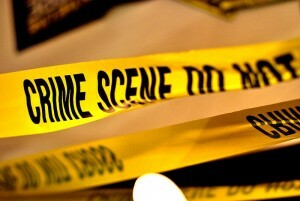 According to reports, New York saw 334 murders and Los Angeles saw 294. And police seized 8,300 illegal guns in 2016, up 20 percent from the year prior. During his press conference on Jan. 1, Johnson outlined his plan on how to tackle violence in the city in 2017, characterizing the previous year as being “unacceptable.” He asserted that most of the crime occurs in just five of the 22 police precincts. He said that gang activity is largely a part of the reason for the violence, as well as hostility toward police following the 2015 Laquan McDonald incident. Johnson also opined that laws aren’t strict enough to punish offenders. Part of Johnson’s plan to curb the violence includes adding 44 additional security cameras, mentoring youth, rewarding those who bring jobs to high-crime areas, strengthening gun laws, and increasing the number of police officers in the city. Support centers will also be opened to analyze information from the street. President-elect Donald Trump also weighed in on the matter on Monday, stating that if the “mayor can’t do it, he must ask for federal help!” The Tweet generated over 55,000 likes as of press time. According to reports, Chicago isn’t the only city that saw an uptick in homicide in 2016. CBS News reports that San Antonio, Texas saw 151 murders since last year—the highest in 20 years—and San Jose, California saw 47 murders—the highest in 25 years.